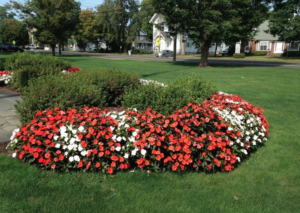 Appreciative Amity students who’ve benefited from the generosity and good work of the Jamie Hulley Arts Foundation have arranged for a fundraiser to benefit their favorite charity. 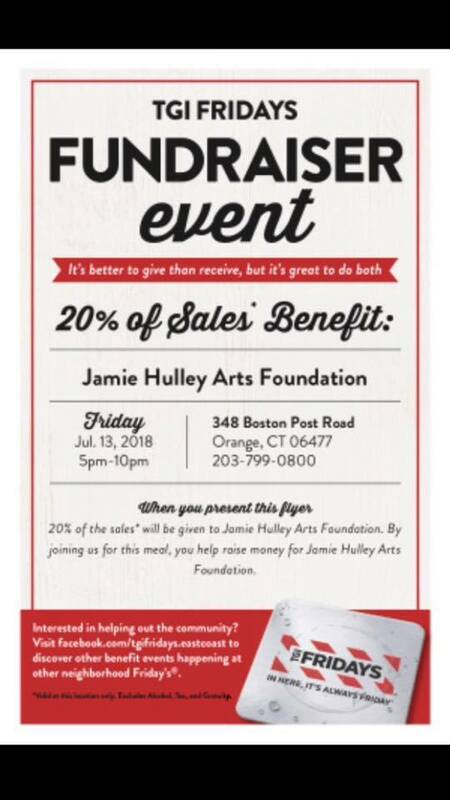 On Friday, July 13, come on down to TGI Friday’s, 348 Boston Post Road, Orange, from 5 to 10 p.m., 20% of sales will benefit the Jamie Hulley Arts Foundation when you present this flyer at check-out. Judy Primavera and Fred Hulley have given so much to our young people through this foundation named for their beloved daughter, the late Jamie Hulley, an artist, dancer, actor, singer who loved the arts and loved life. You can show them your appreciation by enjoying a meal and helping raise money for the foundation so they can continue to help enrich the lives of your children.